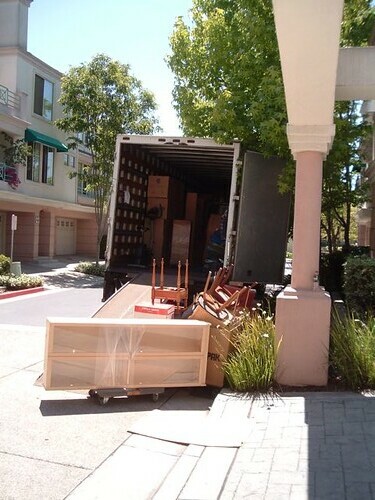 First and foremost, before you move into your new place, you should look for a company that offers cheap suburb removals, but who also have a good reputation. A good removal company will take great care of your stuff and make it easier for you to move in without any fuss. When you buy a new home, it’s always a good idea to change the exterior locks on any doors and windows. Although the previous owners, real estate agents, cleaners, etc., are probably very nice people who wouldn’t think of doing anything nefarious, it’s better to be safe and sorry, and you’ll feel a lot happier in your new home knowing that only you and your family have working keys. There’s a good chance the house will already be pretty clean because the previous owners will have wanted to show it in the best light, but you don’t exactly know how they lived; if they had any pets; or if they had any previous pest problems, so it’s probably best to do a full cleaning blitz of the place. If you don’t have the time or inclination to do it yourself, call in the professional and have them do it for you. If you want to put your own stamp on the place, it’s much easier to redecorate before you move in. The property will be empty, so you won’t have to worry about the logistic s of moving furniture around and finding a safe place to store your valuables o they don’t get covered in paint. Again, you don’t have to do this yourself if you don’t want to, but if you’re planning on decorating in the future, it’ll be much easier to bring it forward and get it done before the move. While you’re decorating, it might be sensible to also go around the house checking for any fixtures and fittings that are old, worn or mismatched –light switches, door handles, lampshades, etc. – and replace them where necessary. They might just be small things, but they can make a huge difference to how comfy your new home is when you do eventually move in. It’s hard to enjoy those first days in your new home when you have no blinds or curtains in place, and you’re constantly worried about the neighbors peering in at you. So, if your current blinds and curtains don’t fit your new home, buy some before you move in, and you’ll feel safe and comfortable in your new home from day one. Have you recently moved into a new home? Did you complete any tasks before you moved into your new place? This entry was posted in Parenting, Travel and Vacationing on June 27, 2017 by mommyhasalife.